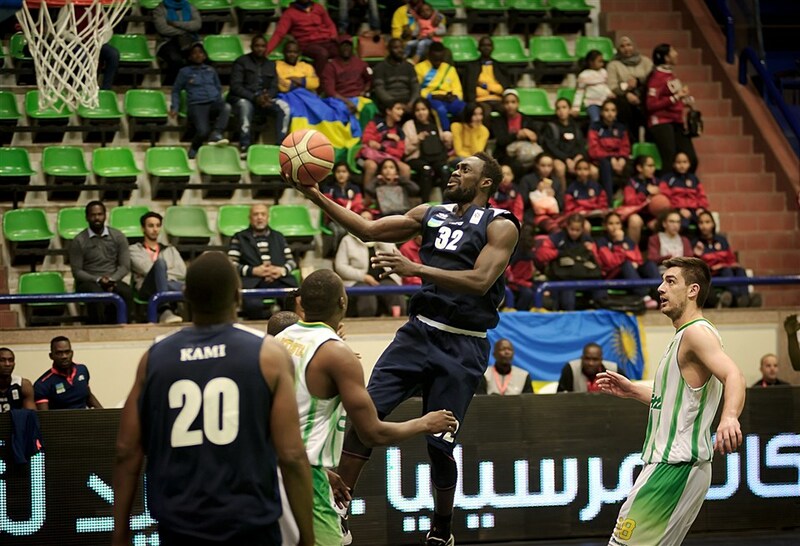 Rwanda Energy Group basketball club sealed a perfect start in the FIBA Africa Basketball League (AfroLeague) as they defeated Mozambican side Ferroviario da Beira in the opening game of Group C played on Friday night in Cairo. The Rwandan representative managed by head coach Patrick Ngwijuruvugo defeated Ferroviario da Beira 86-77 to launch a bright start. REG won the first three quarters 25-15, 23-19 and 21-18 before losing the last quarter 17-28. REG’s Engelbert Beleck, 20-year-old Cameroonian import introduced himself in style making his name heard loud in the opening of Group C.
Beleck not only sparked REG at both ends of the floor, but he also inspired his team with an impressive game-high 25 points and 13 rebounds. And his name will forever be associated with the newly-launched FIBA ABL after driving to the basket and score the first points in the competition history. He also erupted as one of the few players to finish with a double-double in Friday’s Group C action. REG’s other top performers include Kami Kabange who scored 15 points and Kenny Gasana who managed 14 points. Ngwijuruvugo hailed his side and urged them to go for more victories in the remaining two matches. “This is a good start and I must thank my players for the good work. I believe this is a good start and big motivation for our team as we head into the second game against champions Primeiro de Agosto. We need to be at our best in the second game which will give us an advantage in the remaining match,” added the Burundian tactician. The Rwandan side will take on Primeiro de Agosto later tonight in the second Group C game. Primeiro de Agosto started their campaign on a bright note registering a shocking 86-77 victory over Egyptian side Al Ahly. Their final Group C encounter will be played on Sunday when they face Al Ahly and good performances over the remaining two matches will only guarantee REG a place in the round of last eight. The clubs that finish in the top two positions from each of the four groups will advance to the elite eight rounds, which will mark the beginning of the knock-out stages. REG qualified for the continental showpiece in August after finishing third at the 2018 FIBA Africa Zone V Club Championship in Dar-es-Salaam, Tanzania. They will represent the Eastern Africa region along with two Egyptian sides Al Ahly and Smouha.